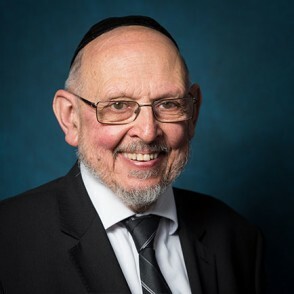 Rabbi Yosef Blau has been mashgiach ruchani (spiritual guidance counselor) at the Rabbi Isaac Elchanan Theological Seminary at Yeshiva University since 1977. He also serves as spiritual guidance counselor for students at Yeshiva College. Rabbi Blau earned a BA in 1959 from Yeshiva College and an MS at Yeshiva’s Belfer Graduate School of Science in 1960. He was ordained at RIETS in 1961. Rabbis Blau is president of the Religious Zionists of America and served as national president of Yavneh, the National Religious Jewish Students’ Association. He is a former national vice president of the National Conference of Yeshiva Principals. An author of many articles on Jewish thought, Rabbi Blau became a member of the Orthodox Forum in 1989. He is a former member of the executive board of the Orthodox Caucus, was a delegate from the Religious Zionists of America to the World Zionist Congress and was elected a member of the Vaad Hapoel of the World Zionist Organization.